I have a random "middle of the month" post for you folks with some news and a new product. 1: Scribd seems to be charging for new membership. Or, perhaps they are being sneaky and convincing you to pay for a membership when you might not really need? I was able to create a new account without signing up for the free account, so I don't know if that account is going to shut down after two weeks, or ???? 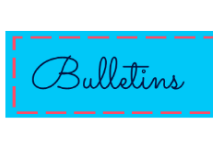 HOWEVER, you can still download each Catholic Kids Bulletin from the Google Drive links. 2. 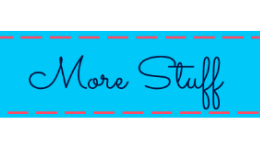 I created a new store at Teachers Pay Teachers, so all my products and bulletins will also be posted over there. 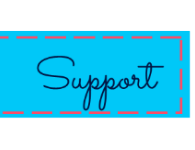 Click on over to check it out, see if there is anything you need for this holiday season, and randomly making nice comments and give things 4.0 star ratings. That'd be great. 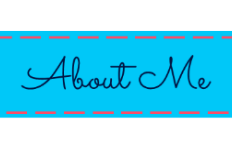 You can also follow the store over at TPT and you will be updated when I get a new product pulled together over there. 3. 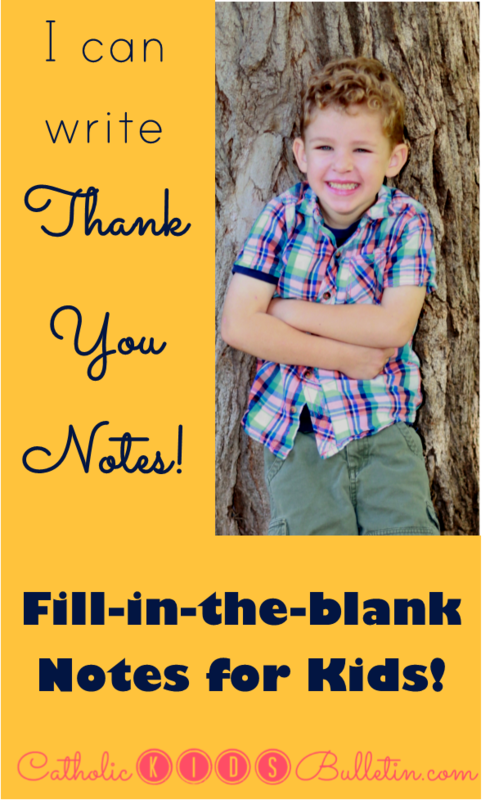 Speaking of new products, in the spirit of Thanksgiving, I made a huge pack of Fill-In-The-Blank Thank You Cards! I have a hate-hate relationship with thank you cards. I avoid writing them, and I hope that my kiddos won't develop my same aversion. I've been printing fill-in-the-blank notes for them recently so they can add some color, write a word or two, and have a fun thank you note ready for the mail. Choose 2 templates, print front/back on cardstock, cut, fold, and let the kids get to work. Nick (3) can scribble and circle, Jake (5) can trace and circle, and Mady (8) can fill in the blank and draw some adorable kiddo artwork. I can even adjust the difficulty based on their ability and mood for the day. The cards will fit in invitation envelopes. Out of 19 pages of options, there are 100+ possible card combinations that you can choose from to create a card that will suit your students. To continue with the Catholic-ness of the blog, I created 6 Saint/Bible quotes 'covers' as well as simple 'Thank You' covers that can be colored by your kids. Hopefully you like them! 4. I'm linking up at Fine Linen and Purple for What I Wore Sunday. If you made it through this long promotional post, you get to find out our latest news! 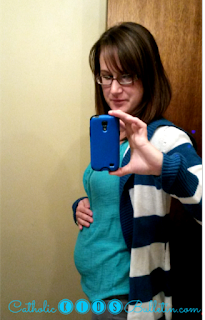 Baby #4 is due in April! That means that what I wore every Sunday for the last few months has been the warmest, comfiest clothes I can possibly wear to church! I LOVE big sweaters and definitely need to add a few more to my supply before winter.